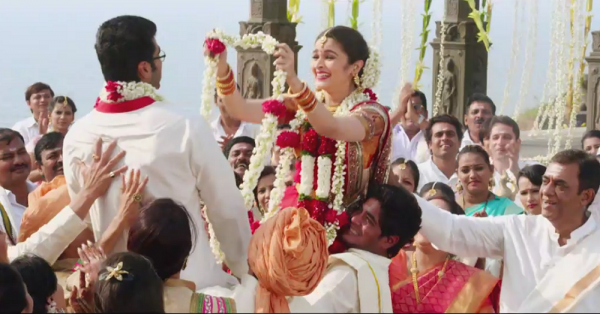 9 Emotions EVERY Bride & Groom Feels On Their Wedding Day! 1. Today is the day! I’m getting married! It’s my wedding day. I’ll be married by tomorrow. OMG, OMG,OMG! All those months of taking decisions and going shopping - it’s all coming together today. Not only that, the entire clan has come down for my shaadi?! 3. Ma, please don’t make me cry! 5. Is everything going ok? “I hope the decor is how it was promised by the planner. Is the car-o-bar functional? I hope everything is going to be OK. Where has dad disappeared?” - These and 500 other thoughts will run through your head on D-day. So many hugs, so many chummis, so many blessings - you’ve never felt so blessed and loved in your life. Your entire clan is here to see you get married, and there’s so much joy in the air. No wonder you’re tearing up! How can this day be so long! My cheeks hurt from smiling TBH. And don’t even ask about my legs, they went numb two hours ago. I’m so tired, the fire is so hot, I can’t understand why the panditji is asking so many questions. I just want to get out of these clothes, and crash face-first into bed. Is this what it means to be a zombie? 9. What’s life going to be like now? Oh look, we got married! Why is there no handbook for newly married people? I have so many questions about this new phase of my life, beginning with the suhaag raat! Take a deep breath and enjoy your day. And congratulations! GIFs: Tumblr, Giphy HAVE A STORY IDEA FOR POPxo? If you want to hear about it, we can write about it! Just tell us your idea here! MUST-READ: Your Wedding Day Might Not Go As Planned! (And It’s OKAY!) MUST-READ: 10 Emotions *Every* Bride Goes Through On Her Wedding Day!